Rafe is rushed to the hospital after getting shot; Hope and Ben team up to rescue Ciara. The new postcard-sized 1040 tax return form. 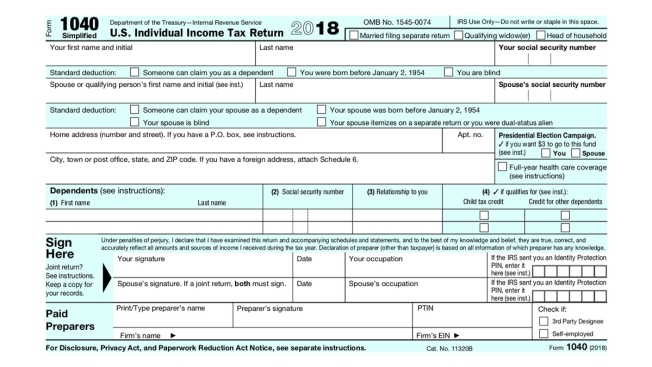 Individual taxpayers will be able to use a postcard-sized form to file their returns for the 2019 tax season, CNBC reported. The form will replace the current 1040, 1040A and 1040 EZ forms, according to the Treasury Department. "The new, postcard-size Form1040 is designed to simplify and expedite filing tax returns, providing much-needed relief to hardworking taxpayers," Treasury Secretary Steven Mnuchin said in a statement.